Synergy Physio owner Nichole Hamilton started her career in Physiotherapy working in a small private practice before travelling to London and working for several years in a private sports and spinal clinic in Covent Garden. It is during this time in London she had the opportunity to access a wide range of courses, workshops, lectures, seminars under great teachers such as Diane Lee, The London Centre for Osteopaths, LJ Lee, Andre Vleeming and many more. She found herself on a neverending learning path to expand her understanding of the pelvis, spine and hip. 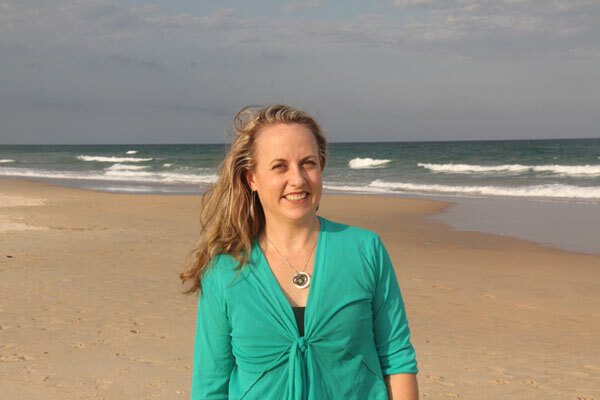 This passion for knowledge and understanding eventually led Nichole to complete her full years training including the additional level four in the Connect Therapy TM model under the expert tuition of Dr LJ Lee. LJ’s approach incorporates all aspects of the body and mind, and focuses on thorough assessment to find the ‘Driver’ of a person’s pain rather than simply treat their symptoms. On her return to Australia Nichole welcomed to opportunity to work with a vast array of fantastic physio mentors in Sydney. She spent 5 years at the busy North Sydney Sports Medicine and Orthopaedic Centre working with a professional team of specialists and sports medicine physicians include Dr Tom Cross, the late Dr Ken Crichton and Hip Orthopaedic Specialist Dr Michael O’Sullivan. She also worked in well-known clinic The Sydney Spine and Pelvis Centre with Dr Barbara Hungerford and also The PFFC with Francine St George. Nichole is immensely grateful for both the amazing learning opportunities she has been given and also the fantastic mentors she has studied under that have both challenged and encouraged her. These opportunities have opened up the doors for sharing her knowledge with online learning platforms such as clinical edge and world health webinars. Nichole’s passion for education and learning has also driven her to develop her workshop for physio’s on managing hip pain, as well as a broad range of online education resources. Her passion for sharing knowledge and mentorship in a positive patient focused environment form the basis of her staff development at her clinic at Synergy Physio. She offers her team regular inservices, one on one tuition and access to online learning portals to help her team work toward their personal and professional goals. She believes in a supportive cohesive team environment where each member of the team is valued and respected in the offerings they bring to the clinic. Nichole’s staff training uses the Connect Therapy approach, so all of her staff to can learn to look at their patient’s body’s differently- taking into account their stories, history and beliefs, assessing their whole bodies and doing a thorough biomechanical assessment of the way they move so they can discover where a patient is ‘breaking down’ in an activity and working with patient’s to restore optimal health and movement patterns. Synergy Physio is a busy popular clinic centred on patient care. We offer a friendly, professional service, with longer appointment times, so that clients felt listened to, can play an active role in their recovery and ultimately get the most out of their physiotherapy treatment. Our aim is to provide expert treatment, a thorough and caring approach offering a wide range of services to benefit patient health, including pilates, yoga, mindfulness meditation, Connect Therapy assessment, workshops, online resources and courses. Here at Synergy Phsyio we are always on the look out for Physiotherapists to join the team, who have a passion for being more than just a Physiotherapist. If you enjoy treating the ‘whole person’, embarking on a journey of life long learning, and changing not only the way people move, but changing their lives, a career at Synergy Physio might be for you. Employment opportunities also exist for enthusiastic practitioners who are able to work well in a team environment and strive to achieve the best outcomes for their patients.